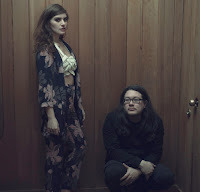 Indie pop rockers Best Coast just released their third full-length last week titled California Nights and they have just extended their 2015 tour plans into the fall and the new dates include a show in the Triangle. The band will play the Haw River Ballroom on Monday, September 14. Tickets will go on sale at 10 a.m. on Friday, May 15, via Ticketfly for $20. Check out the music video for "Heaven Sent" from California Nights below.